Beautiful example in deep Ivory. 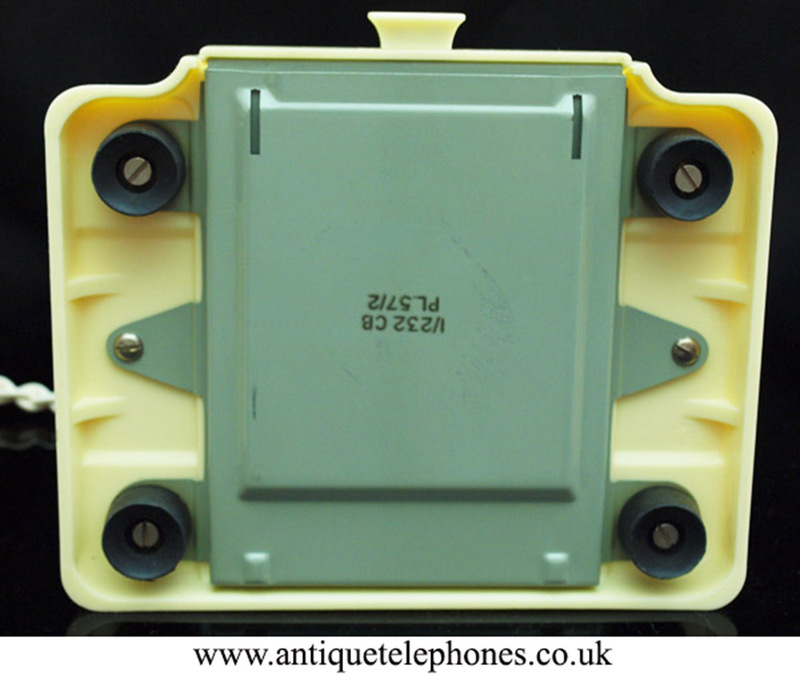 Matching dated handset and base. 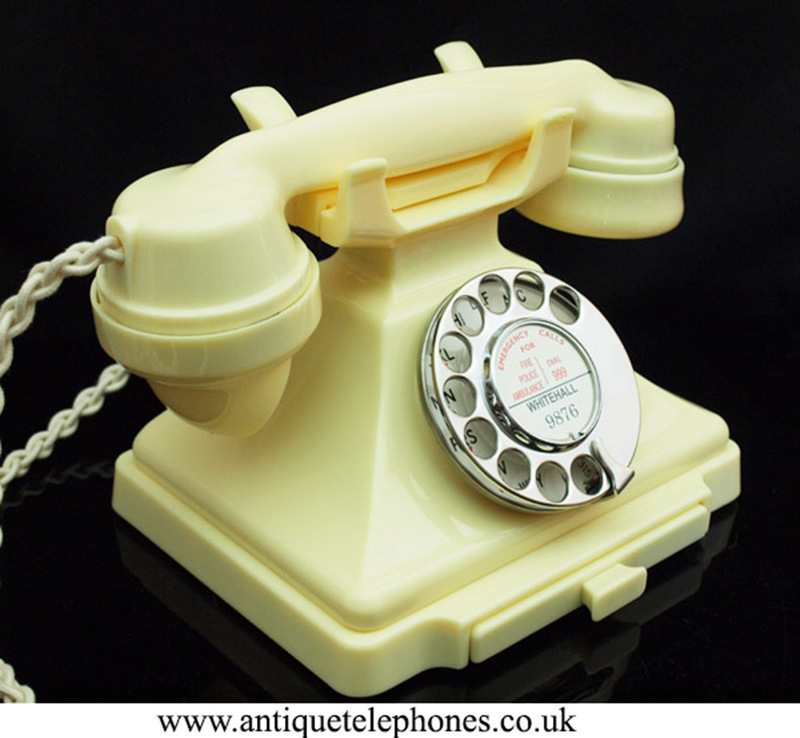 Deep ivory colour. 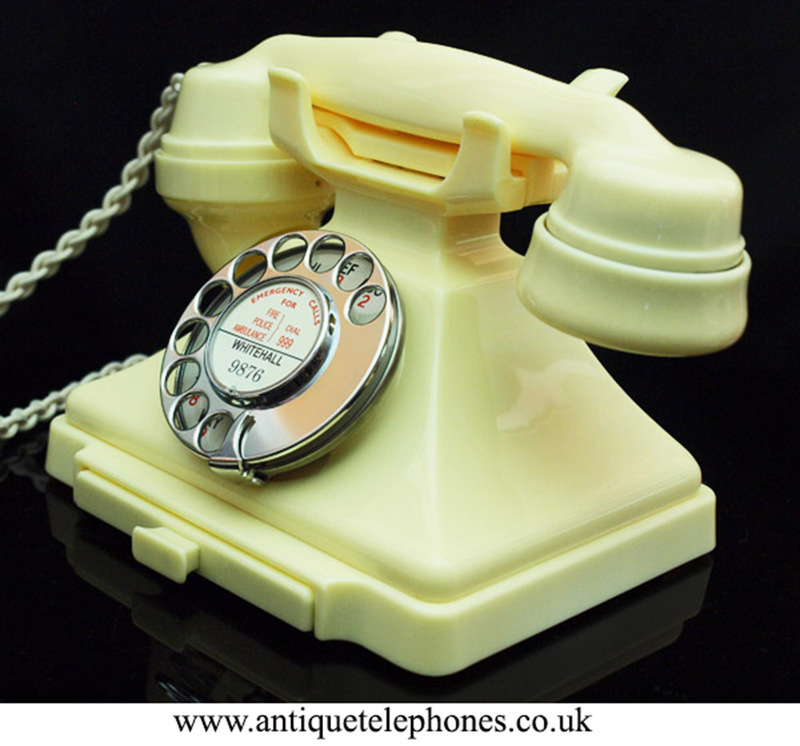 This is a wonderful condition telephone. It has been stripped down and rebuilt after each part has been cleaned and polished. The dial has also been totally stripped down and set up to work on any system using special test equipment. All the parts are a perfect colour match it has no damage or repairs at all. 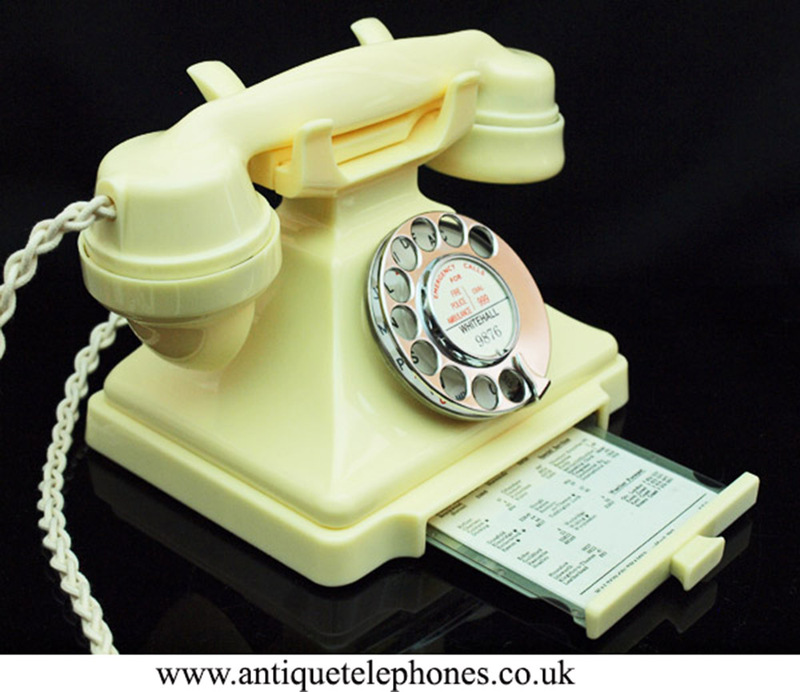 It is fitted with an electronic microphone, a best quality hand plaited reproduction braided handset cord and a GPO specification round plastic line in cord with a UK telephone plug socket. 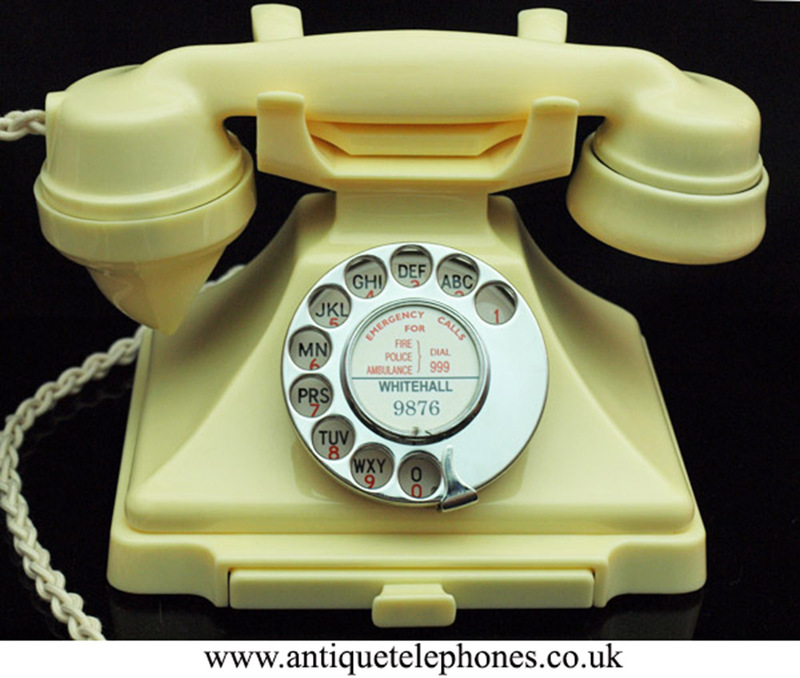 The handset is dated 1957 and the base 1957. It has a genuine GPO No 12 dial with an alpha numeric dial face. I can make a dial label with your information at no extra charge. This model has no internal bell and I can fit a small bell inside at no extra cost.